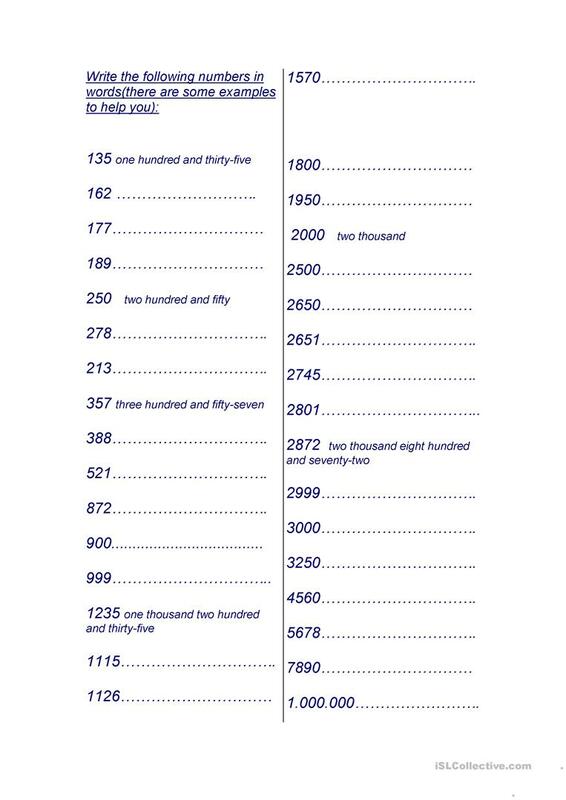 A worksheet on numbers that otherwise can be used as a test to check your students' consolidation of hundreds and thousands up to one million. The above downloadable printable is a great resource for high school students and elementary school students at Elementary (A1) and Pre-intermediate (A2) level. It was designed for developing your groups' Reading and Writing skills. It is about the theme of Numbers.